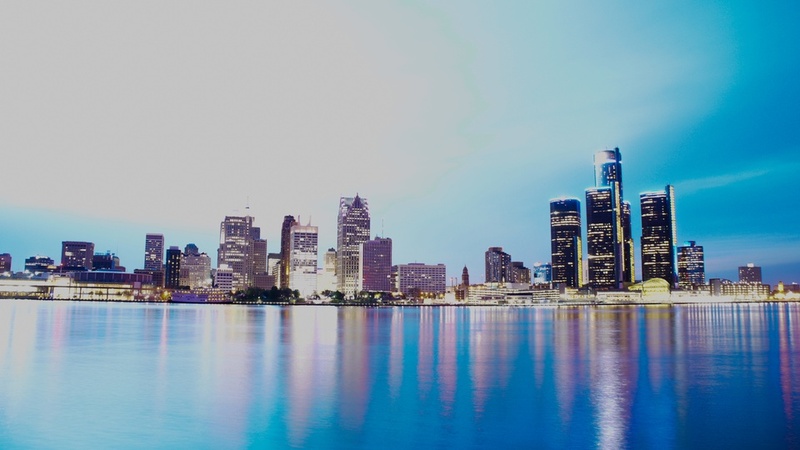 Vimal S. Konduri The Detroit Skyline seen from Dieppe Gardens. For every person I interview or feature on my blog, if they think about citizenship just a little bit more, then I think I’ve done something good; I’ve helped people feel more connected in some way. It lives between the booths of small-town bars, in the eyes of shop owners, above our heads in windy public parks. The elusive notion of citizenship has fascinated Jamie E. Piltch ’17 for years—so much so that he’s chasing it across the country. Piltch has interviewed more than 100 people, visited more than 12 states, and logged at least 1200 miles in his Honda CRV for The Citizen’s Story, a journalistic project he launched in August. On his cross-country roadtrip, Piltch plans to interview 200 people and travel to 25 states, documenting his conversations with strangers about the meaning of American citizenship. He spoke with FM over Skype (with an Airbnb cat nestled in his lap) to share his experiences and what he’s learned about being American. FM: What first got you interested in the idea of citizenship? JP: My sophomore summer, I worked at Harvard Business School with David Moss to create a high school civics curriculum. Citizenship, if it’s done correctly, can be such an inclusive idea. I think there are a lot of conversations on college campuses on inclusivity, about making everyone feel valued. I think if we do citizenship and civics the right way, it seems like such a great way to help people feel like they matter. FM: You mention on your blog that you consider freedom a group project. What kinds of community action and leadership have you encountered on the road? JP: Freedom is a place where we come up short, both on the left and on the right. I think we as people like to invoke freedom when it works for us, but protecting other people’s freedom can make us really uneasy. In terms of seeing communities working on group projects, there was this awesome example from when I was in Detroit, sitting at an outdoor market, and I saw a community bikeshare group called MOGO taking out people from a homeless shelter to bike around Detroit for the day, paying for their lunch. For me, that’s what citizenship is all about: helping others. FM: Can you tell us a story, personal or not, of good citizenship? JP: The best example of citizenship was from two people I interviewed in Pittsburgh. One of their best friends was sexually assaulted during college and has now spent her whole life on sexual assault awareness and is now working on a bill that’s trying to make sure that there’s more open information on sexual assault on college campuses. That was great, inspiring citizenship. That’s the type of person I wish I could be. I have an example of bad citizenship, too. One of the people I spoke with in Detroit told me that he played on a multiracial Little League baseball team in one of the more white neighborhoods of Detroit when he was a kid. He was at a game one time, playing a team from nearby, and a parent called from the crowd, “Go back to where you came from, you little n-word.” To a 12-year-old boy playing baseball! FM: Where or when have you felt the most American on your trip? JP: The moment I felt most American was when I was talking with people in Detroit, specifically this one man, Adriel. We were sitting in a bar in downtown Detroit, having beers, and we were having a really open discourse about racism in our country. That felt like what America’s supposed to be for me. The project is two parts: being a citizen and being an American. For me, being an American is being open to others, being respectful to people of all races, creeds, classes, and open conversation. FM: There’s something romantic about road tripping across America and asking people about citizenship, but it might be an easier task to accomplish as a white man. How do you reconcile your privilege with the different viewpoints of your interviewees? JP: I see this as a way I could give voice to people who don’t often get to be interviewed on things. One of the privileges I’m tuned into on this trip is educational privilege, which I think is something we don’t talk about enough. I think it’s one thing to talk about citizenship in a Harvard classroom with other students who go to Harvard, and it’s another thing to go talk to people—to truly not understand where people are coming from and try to understand. FM: What kinds of trends have you noticed in how people define citizenship along the lines of their political ideology? JP: In general, people actually agree quite a lot. I’d say the biggest difference is often age. Young people are much more concerned with the political aspects of citizenship: voting, reading news sources, open discourse. Older people are much more concerned with community. Across the political spectrum, the type of citizen that everyone agrees on is what I would call the “charitable” citizen: someone who volunteers, helps others, and takes time to help the community. Most people, surprisingly, have been really into the project. Once people start talking—oh my god, they don’t stop. For every person I interview or feature on my blog, if they think about citizenship just a little bit more, then I think I’ve done something good; I’ve helped people feel more connected in some way. That’s my hope for this project.